It’s a popular time to visit Half Moon Bay as some of surfing’s best come for the Mavericks Surf Contest. Whether you’re there to catch some waves yourself or just to take in the scene, the sea breeze can make any board enthusiast thirsty. Luckily, there are plenty of breweries and eateries around. Some of them even offer unobstructed views of the surfers, so you won’t have to miss a second of the action. If just thinking about surfing leaves you with a serious appetite, head over to Barbara’s Fishtrap for some seafood. 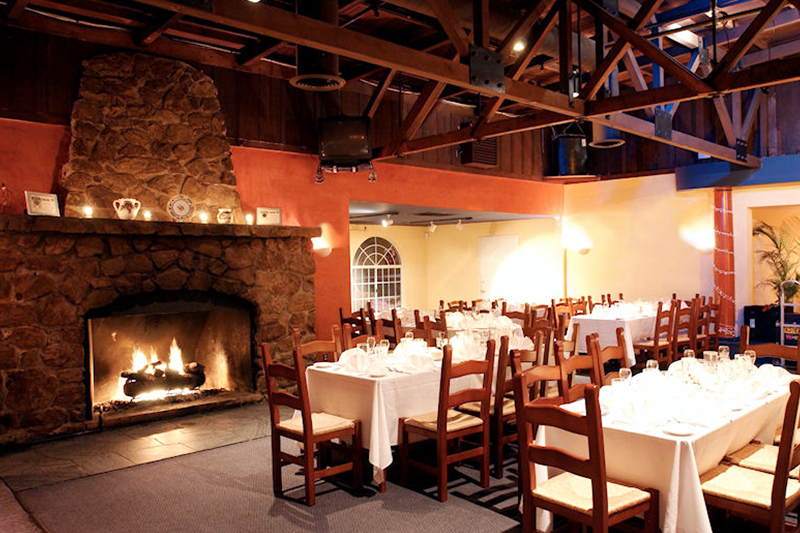 You can sit in the restaurant and enjoy a full bar and menu. Or, you can go for a basket of coastside calamari and fries from the takeout “shack” next door. Outdoor seating is limited, but look for a picnic table and pack your binoculars for the best views. Even on non-competition weekends, you can expect long waits at the city’s beloved and namesake brewery, Half Moon Bay Brewing Company. If you make it to a table, you’ll bump elbows with surfers, locals, and tourists. You can’t do much better than the huge, dog-friendly patio with fire pits and beach views. You can enjoy all their seasonal pours on-tap (locals swear by the IPA). There’s also a full menu if you want to munch on appetizers like beer-steamed prawns or nachos. If you don’t want to wait for a spot at the HMB brewing company, head to Sacrilege Brewery + Kitchen instead. 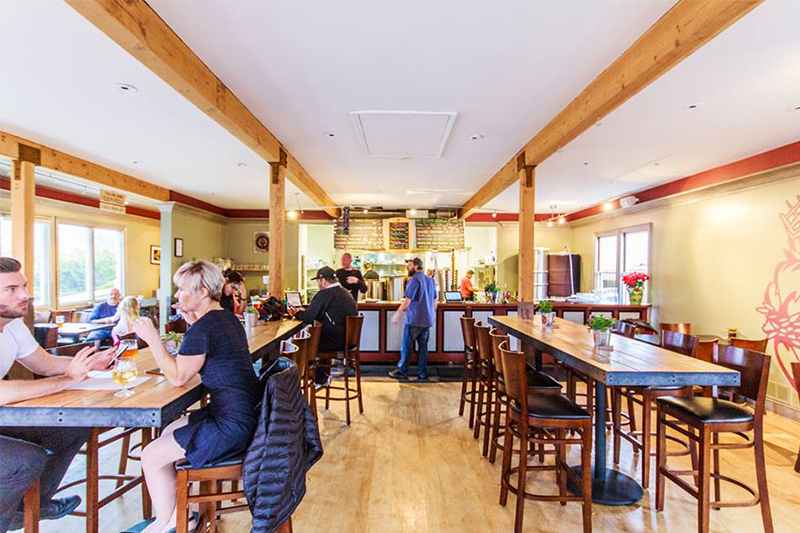 This alternative brewery, located in downtown Half Moon Bay, holds its own with a wide selection of beers on tap that changes daily. The menu offers hearty staples like burgers and sandwiches but also has some surprises like burrata poutine and a wine and cheese-infused brat. 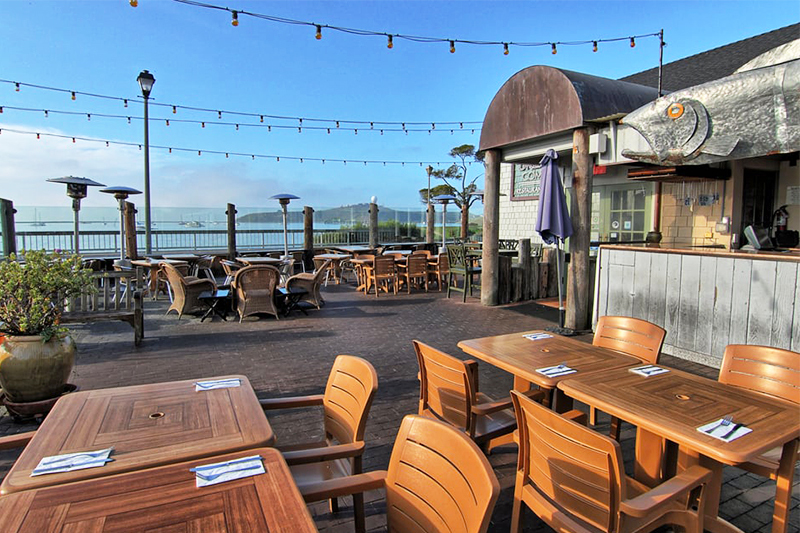 The wait is worth it for a place on the seafront patio at Sam’s Chowder House, where you’ll have a prime spot to watch the pros surf. 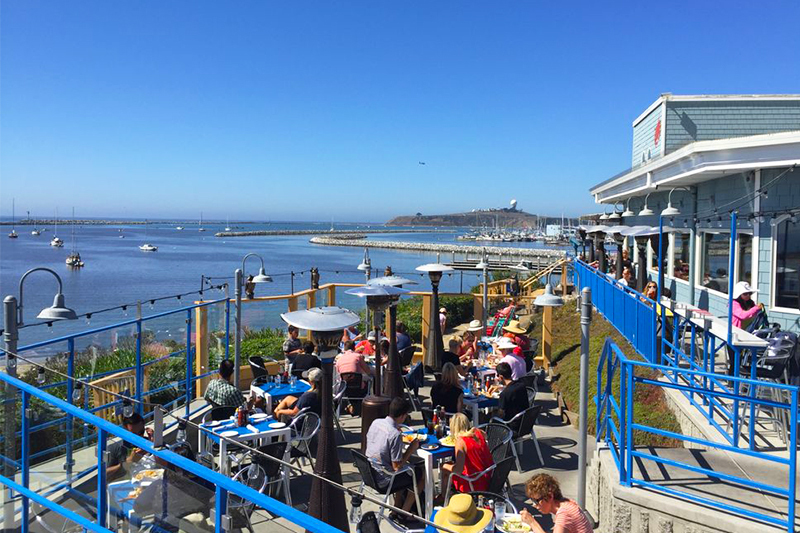 San Francisco Magazine actually named it as one of the top three outdoor dining spots in the Bay Area. On the menu, you’ll find big bowls of their signature chowder but they are also known for lobster rolls, fresh fish fillets, fried seafood platters, and polenta fries. Try to save room for key lime pie, if you can. Sam’s is expected to reopen on January 23 after some offseason maintenance, so keep that in mind depending on when the competition takes place. Need to fuel up before high tide? Stop at Caffe Mezza Luna, a coffee shop and bakery for breakfast starting at 7 a.m. daily. It’s inside a shopping center with a huge lot, so you’ll want to come early to score parking for the day. They’re best known for their cappuccino, banana bread, and savory crepes. After a busy day on the beach or on the water, stop back for some gelato before heading home. 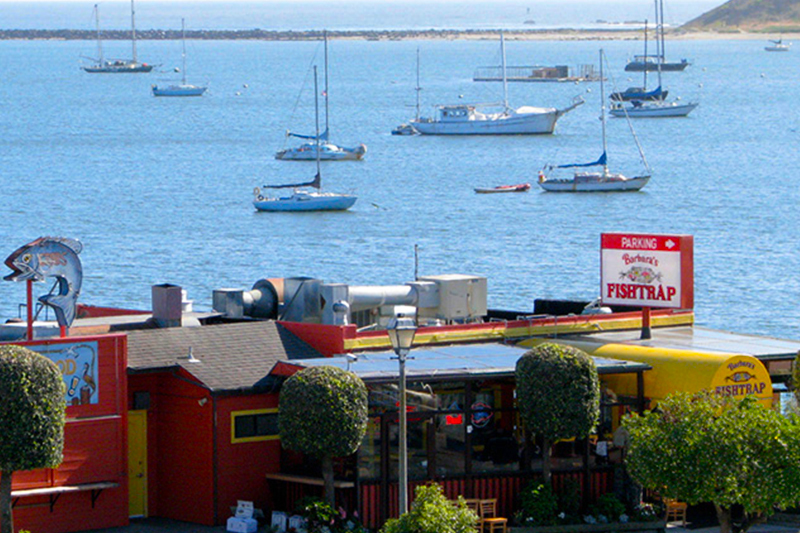 If seafood isn’t really your thing, you have other options in Half Moon Bay. Via Una Cucina is located a little farther down the road from the surfing competition, but still close enough to grab a bite and rush back to the action. Or, you can stop here for a nice dinner and a cocktail after cleaning up from a day on the water. Specialties include homemade gnocchi and woodfire pizzas. 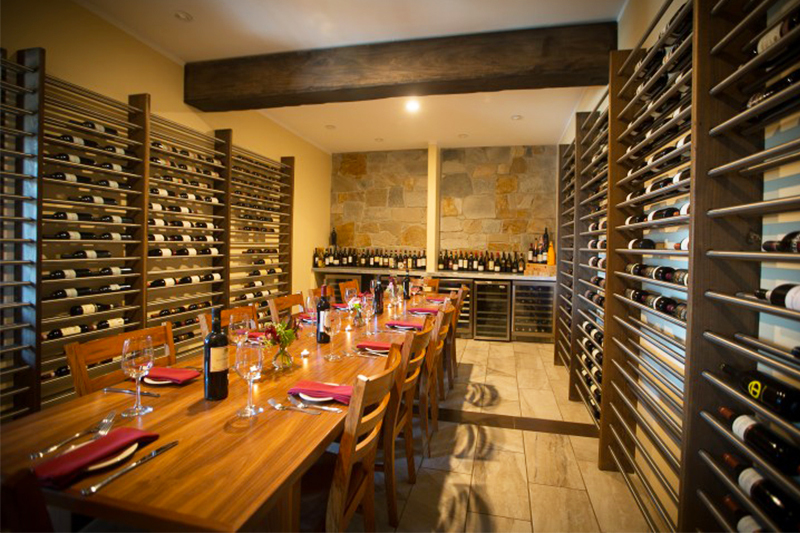 They are also known for their extensive wine list.